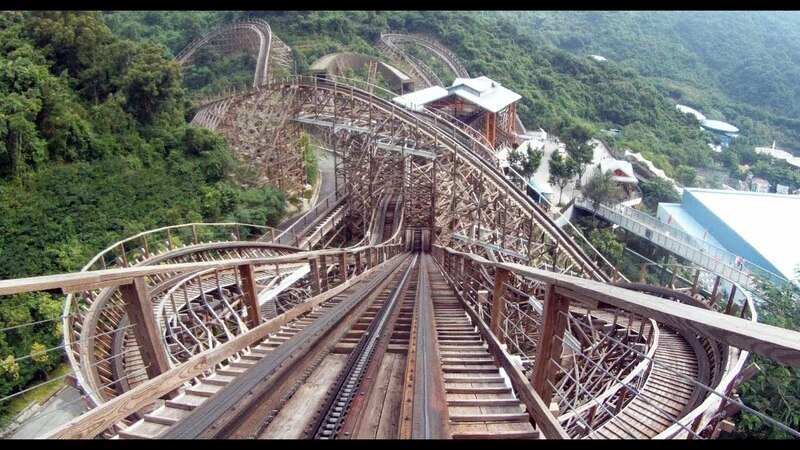 I swear to god I will spread the word of awesome Asian coasters if it kills me. Nothing pisses me off more than seeing the billionth update of dirt at Alton Towers when there are obscene projects like Visionland and the Wanda Parks. 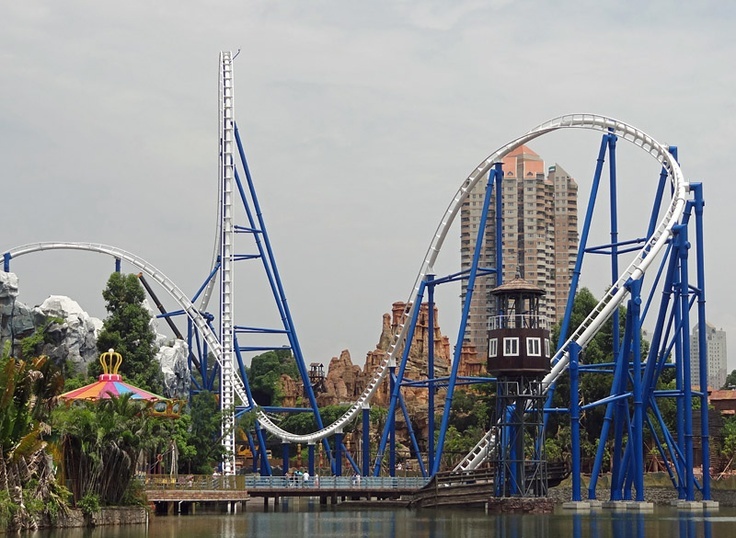 So as part of this endeavour, here's a countdown of some of the best coasters in Asia to add to your bucket list. Flash is a Mack Hypercoaster. It's currently Mack's biggest beast with the biggest loop in the world. And if that's not enough to add this to your bucket list then take a closer look. Yep, this thing has lapbars. That heigh, that loop, with lapbars?! Obscene. 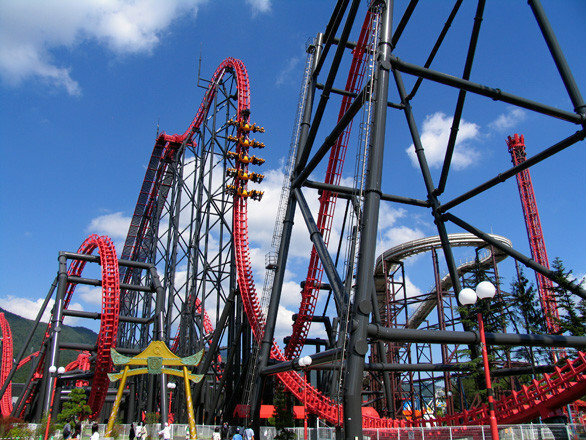 Steel Dragon 2000 is the longest coaster in the world but that's not half of what's excellent about this coaster. It has one of the best first drops, if not the best first drop in the entire world. 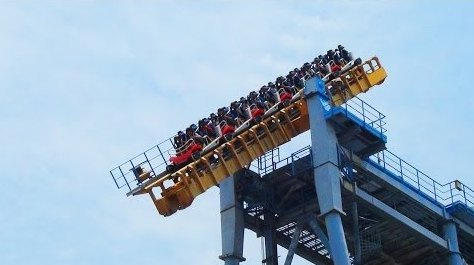 The speed is insane, the airtime is incredible and on top of that it's got forces coming out of its ears. Worth the trip to Japan alone. Bullet Coaster at Happy Valley Shenzhen is an S&S launch coaster. The coaster uses a compressed air launch up to 83mph! This coaster has no inversions, so essentially this is all about the airtime and the transitions! Again, this one has lapbars so you get the full floaty expose experience that all of my favourite coasters in the world have. That, couple with the speed and airtime and gliding over the water makes this one of the best in the world! As with most of the Intamin woodies, this coaster is all about delivering the airtime. 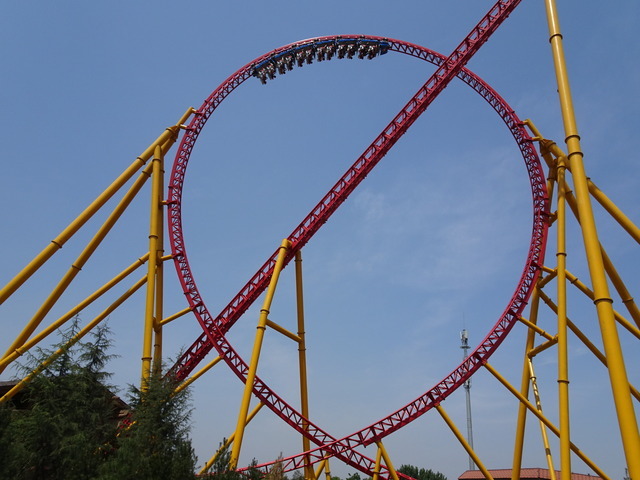 Ok, so the cynic in me thinks that everyone says T-Express is the best because it's the Asian one and it makes you sound more exclusive, but it's on a similar scale to El Toro at Six Flags Great Adventure and that coaster is excellent, so if T-Express is anything like that then you know you're on to a winner! 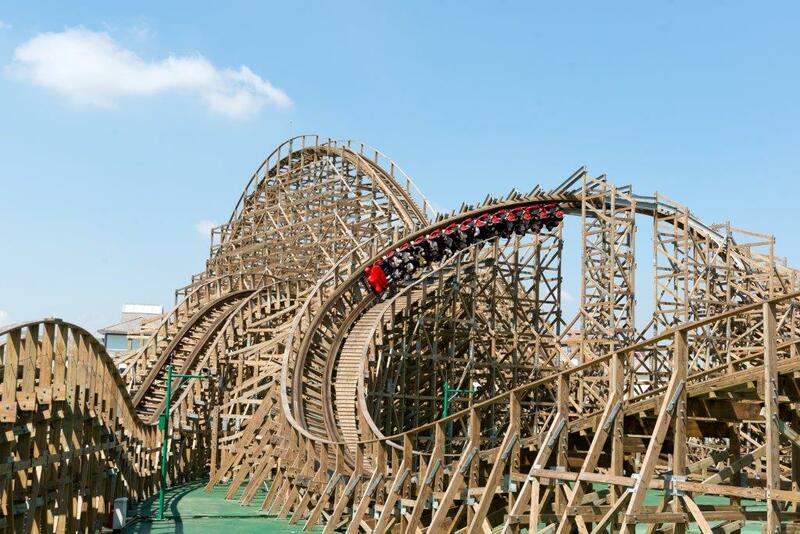 Wood Coaster is the second longest GCI in the world. At a HUGE 4,800ft, this coaster slithers down the mountainside of Knight Valley at speeds of up to 60mph. The coaster dives in and out of the trees as it races down, and although reports state that the coaster has gotten rough in its recent years this is still a must-ride coaster and one of the more unique wooden coaster experiences. Located in the most unassuming of places, Pyrenees is a HUGE B&M invert a couple of hours south of Nagoya. Normally I find the bigger B&M inverts too intense, but somehow Pyrenees manages to balance the forces out perfectly through its incredible layout. The zero-g roll is to die for and the location is beautiful. It's a stunner. Soaring with Dragon is one of the more unique coasters on this list. Imagine is Skyrush, Flying Aces and Taron had a baby and you can kind of get an idea of what this coaster does. Plus, the train looks like cute little Chinese dragons!! It's fast, it's huge and it's photogenic as hell, all you could want from a coaster! So far, there are 6 of these and from what I'm told, these Gravity Group beauties are all as excellent as the last one. Some have inversions, some don't but we all know inversions on woodies are the future and Jungle Trailblazer is the perfect example of how to do it right! It's bulk buying done well, and they're the perfect flagship coasters for an excellent up and coming park chain. If you haven't heard of Gravity Max are you even an enthusiast? It's one of the coasters I look at and even the thought of it just terrifies me. And for that reason, I NEED it in my life. 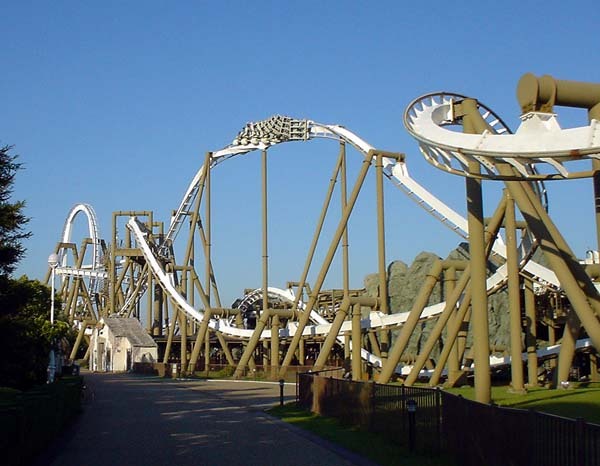 It's an abomination, it's Vekoma before they got good again, but it's one of the most iconic 'weird' coasters in the world that every self respecting enthusiast should want to ride. Eejanaika is an S&S 4th Dimension coaster - otherwise known as the world's most intense and out of control coaster type. 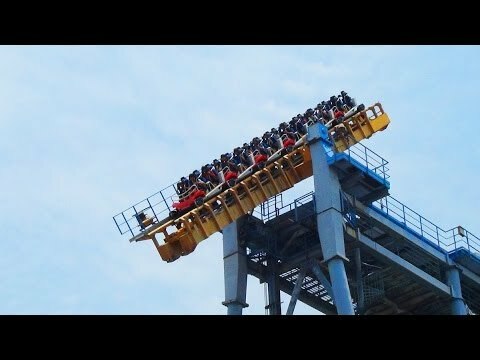 If you've ever wanted to be dragged around a coaster track like a rag doll and completely lose sense of all of your surroundings, then this is the coaster for you! It's terrifying, but in all of the right ways. And yes, it hurts in some places, but that's displaced by the joy of the sheer WTF-ness of this ridiculous ride. Love to hate it. If that's not enough to get you more interested in Asian coasters then I give up! Well, not really, I'm still going to keep on sharing the joy of Asian theme parks and coasters whether you like it or not. I always find coasters tend to look a lot worse than they actually are, just have to push through the wall!